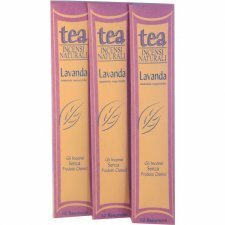 Pure Natural Incense Four Olibanum. Contents: 10 Sticks - 20 gr. 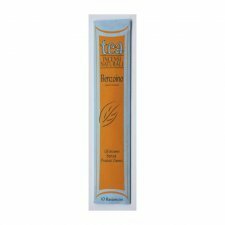 Ingredients: Olibanum Arabia (Boswellia carteri), Olibanum Etiopia (Boswellia Rivae), Olibanum Migiurtino (Boswellia Frereana), Machilus macrantha gum, Charcoal powder, Bamboo. Made in India by Natural Incense Company. 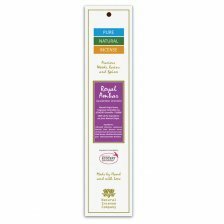 Pure Natural Incense Royal Ambar. 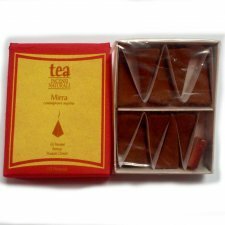 Ingredients: Halmadi (Ailanthus malabarica), Benzoin Siam (Benzoin styrax), Cinnamomum (Cinnamomum zeyl. ), Black Storace, Machilus macrantha gum, Charcoal powder, Bamboo. 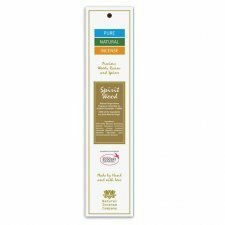 Pure Natural Incense Spirit Wood. Ingredients: Palo Santo (Borserea graveolens), Benzoin Siam (Styrax benzoin), Halmadi (Ailanthus malabarica), Machilus macrantha gum, Charcoal powder, Bamboo. 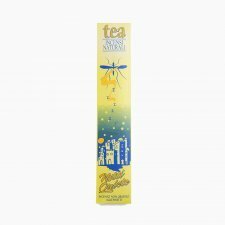 From the ancient knowledge of Ayurvedic medicine comes the recipe for the "Quiet Nights" incense not acceptable to insects, produced with a mixture of pure plants, herbs and essential oils that, in synergy, effectively perform their action in the surrounding environment, making "quiet" your summer evenings. 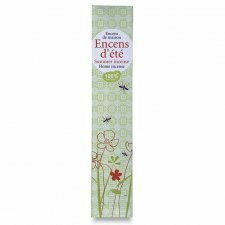 Because of their pleasant fragrance, these incenses can be used throughout the year. 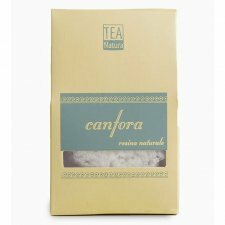 The natural formula makes these incenses safe for use. Handcrafted using traditional methods, these incenses are characterized by the total absence of synthetic chemicals. 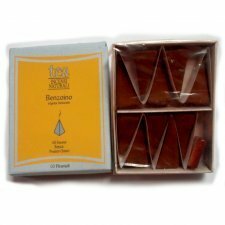 Pack of 10 pyramides and a small tile where to place the pyramid once lit. 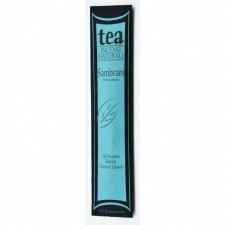 Sambrani Incense: fossil resin derived mainly from the Sal Tree, used in religious services throughout India. It frees the mind from negative thoughts, calms the nervous system, induces a state of serenity. 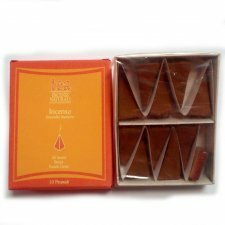 From a fair trade project is born the pyramid incense with Sambrani (fossil resin derived from the Sal Tree, used in India during religious practices). 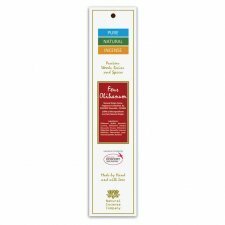 This incense is useful for purifying the environment from negative energy, freeing the mind and giving serenity. It is also very useful against fungi and bacteria present in environments or against respiratory infections. 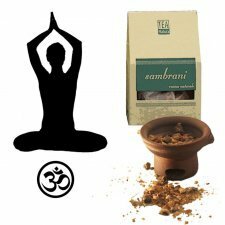 Sambrani Natural Resin: fossil resin derived mainly from the Sal Tree, used in religious services throughout India. It frees the mind from negative thoughts, calms the nervous system, induces a state of serenity. 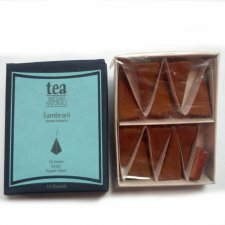 Sandal Wood Incense: antiseptic, antibacterial, antipyretic, hemostatic, carminative, sedative, expectorant, antispasmodic, diuretic, tissue regenerative, aphrodisiac. 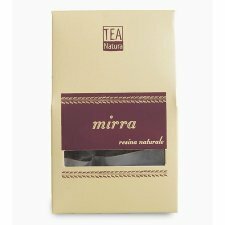 Used for cystitis, urethritis, vaginitis, acute dermatitis, shingles, bronchitis, palpitations, gonorrhea, insolation, acne, laryngitis, nausea, tuberculosis, depression, insomnia, prostatitis, anxiety, impotence. 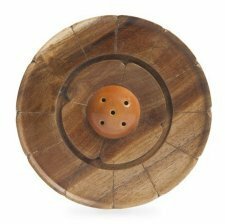 Saucer plate for burning incense made of wood and stone in the shape of a flower! 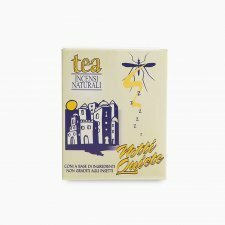 To spread the essence of TEA Natura incenses and resins! Ideal for sticks and incense cones! 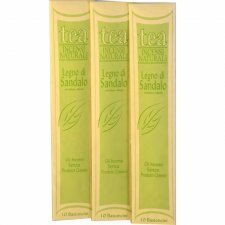 How the Incense Tea is realized by Progetto EquoSolidale. A traditional synergy of 100% natural plant extracts and essential oils, designed to Ayurvedic principies. A fresh and pleasant fragrance. Peace of mind for summer evenings! 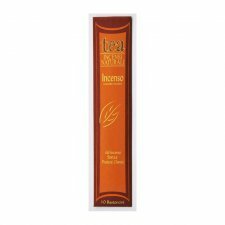 Pack of 12 sticks, duration 1 stick approx 50 minutes. ICEA certificate. Fair Trade product.